Welcome Children of All Ages! BIG NEWS! 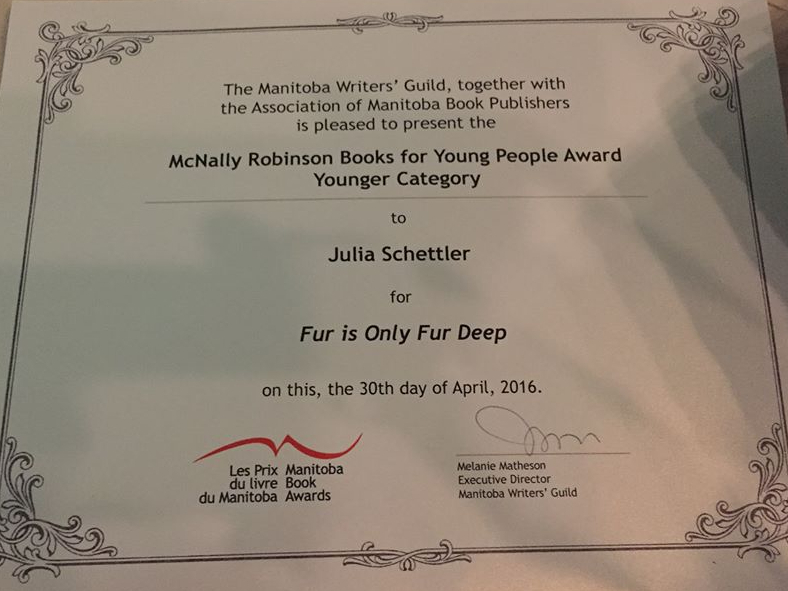 Fur is Only Fur Deep WON a Manitoba Books Award! 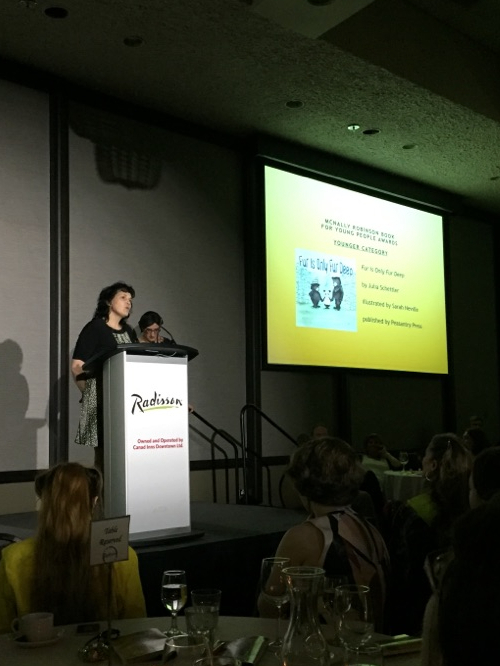 Julia Schettler recieved the McNally Robinson Books for Young People Award (younger)! The book was also nominated in the Best Children’s Illustrator category! 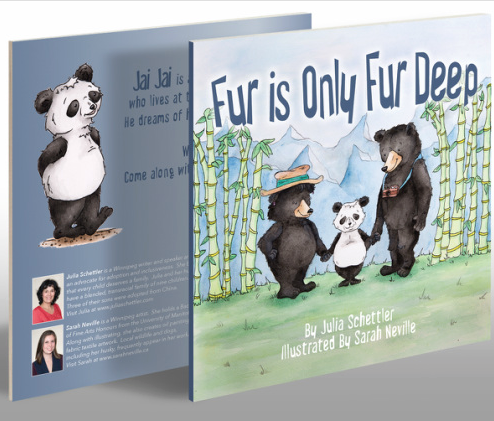 Interesting in Julia and Sarah coming to read Fur is Only Fur Deep? Miniota Elementary School for having Julia read to the Pre K - grade 8 students! Thank you Coles Book Store in the Brandon Shoppers Mall for the having Julia come sign some books! 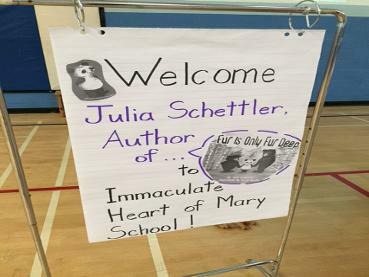 Thank You Chapters St. Vital for inviting Julia and Sarah! for having Julia read for I Love to Read Month! Thank you Adoption Options for having Julia speak at the 2016 annual meeting! 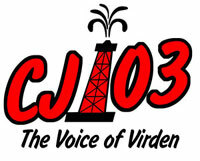 Thank You CJ103 Voice of Virden for the interview!